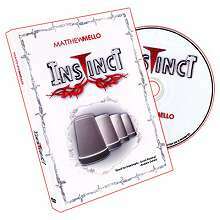 "With iKnow , you instantly divine a song the spectator has randomly chosen from your iPod or MP3 player! An incredible, impromptu trick that is ready to do-anytime!" A spectator is invited to listen to as many songs as they'd like from your favorite playlist (a folder that contains a compilation of 60-70 songs) on your iPod or MP3 player. They are all different. The spectator is asked to scroll through and randomly stop at any song in the playlist, while the iPod is out of site-behind their back or under the table. They are now encouraged to remove the headphones and sing the tune in their mind. You can be in another room as this happens. Now for the mind-blowing climax: You bring your ear close to theirs. You explain that you are listening for the beat and melody of the tune that is still reverberating off their eardrums, and vibrating in their head. To the absolute disbelief of the spectator, bit by bit you start to hum the tune they are thinking of, and then suddenly you name the selected song! Nothing is added or taken away during the performance-it's completely self-contained within the iPod itself! Your iPod is not gimmicked, and can function as a regular playing unit at all times. 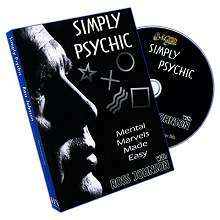 Full instructional DVD guides you through every step of the preparation, including full presentation and bonus ideas. Use your own music & playlists. Works with iPods and most other MP3 players, that have display screens. 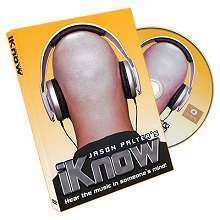 From the creator of such amazing tricks as Third Degree Burn and The Red Carpet, Jason Palter's iKnow allows you to do an incredible, impromtu routine with your own iPod or MP3 player - anytime. Includes a FREE unlimited access pass code to the exclusive iKnow online forum, with downloads!